The Fowler Middle School Jazz Ensemble 1 is an ensemble comprised of second- and third-year musicians who rehearse twice weekly before and after school. Students learn the fundamentals of jazz style, explore the history and evolution of the jazz genre develop a vocabulary for beginning improvisation, and listen to jazz masters. There are two ability-based jazz ensembles and a beginning jazz band. The jazz ensembles perform two concerts annually, in addition to performing at pep rallies, faculty meetings, local engagements, and jazz festivals where they consistently earn top marks. In 2010, under the direction of David Dunham, the Fowler Middle School Jazz Ensemble was awarded the inaugural Mark of Excellence National Jazz Honors Award given by the Foundation for Music Education. 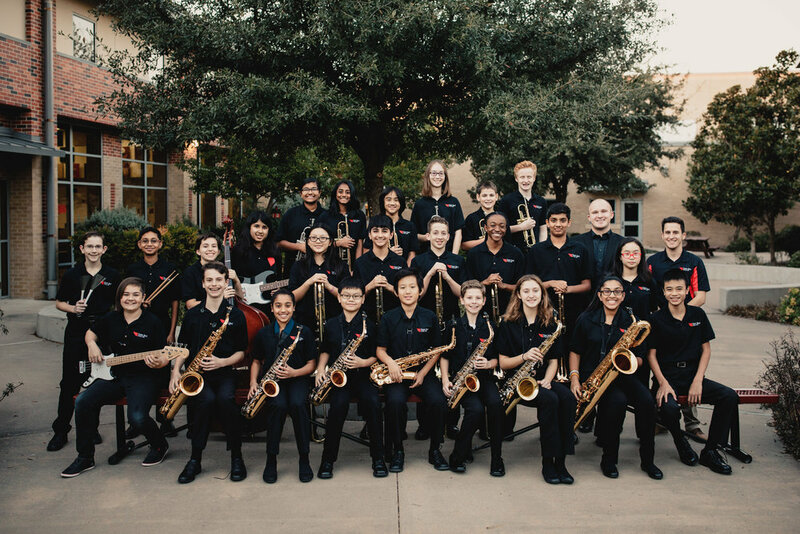 In 2017, under the direction of Matthew Hedrick, the ensemble was selected to be the inaugural Invited Middle School Jazz Ensemble to perform at the 2018 Texas Music Educators Association Convention in San Antonio. Instrumentation is open to: Saxophones, Trombones, Trumpets, Drumset, Bass, Piano, and Guitar. The Fowler Middle School Jazz Ensemble 2 is an ensemble comprised of second- and third-year musicians who rehearse twice weekly before and after school. Students learn the fundamentals of jazz style, explore the history and evolution of the jazz genre develop a vocabulary for beginning improvisation, and listen to jazz masters. The jazz ensembles perform two concerts annually, in addition to performing at pep rallies, faculty meetings, local engagements, and jazz festivals where they consistently earn top marks. Instrumentation is open to: Saxophones, Trombones, Euphoniums, Trumpets, Tubas, Drumset, Bass, Piano, and Guitar. The Fowler Middle School Beginning Jazz band is an ensemble comprised of beginning musicians who rehearse once weekly before school. Students learn the fundamentals of jazz style and develop a vocabulary for beginning improvisation. The beginner jazz band performs at two concerts annually: the Spring Beginner Concert and the Spring Jazz Concert. Instrumentation is open to: Saxophones, Trombones, Euphoniums, Trumpets, Tubas, Drumset, Bass, Piano, and Guitar.